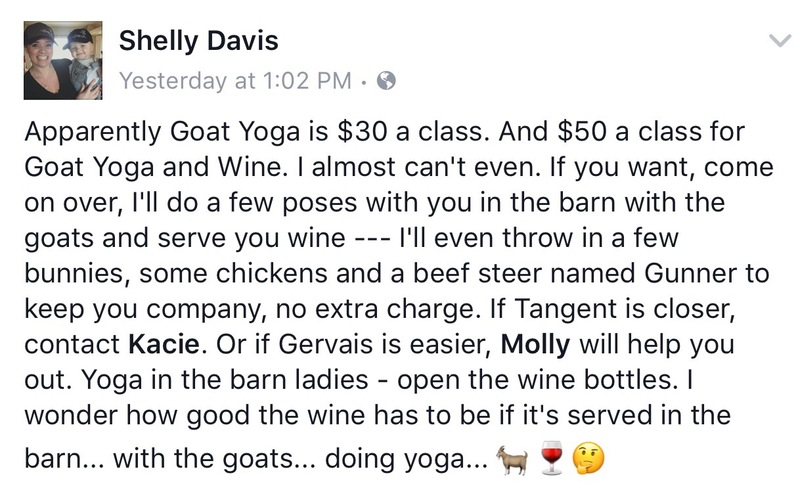 I’ll come drink wine & watch people do goat yoga. I have a hard time picturing a yoga relaxing pose with even a baby goat trying to use you as a jumping/landing balancing post. But a cardio workout I’m with you there. Wheel barrow full of rakings, goat on top, balance please and move it 50 yards to the dump pile keeping all inside and upright. Still laughing..